I don’t really tend to do ‘networking’ much – not the formal type anyway. As a journalist, networking is kind of your job. Meeting people, talking to them, finding out their stories, working with PR people to get results for both of you. All that is networking and it doesn’t really need a formal ‘networking group’ or set time to do it, it just kind of happens naturally. 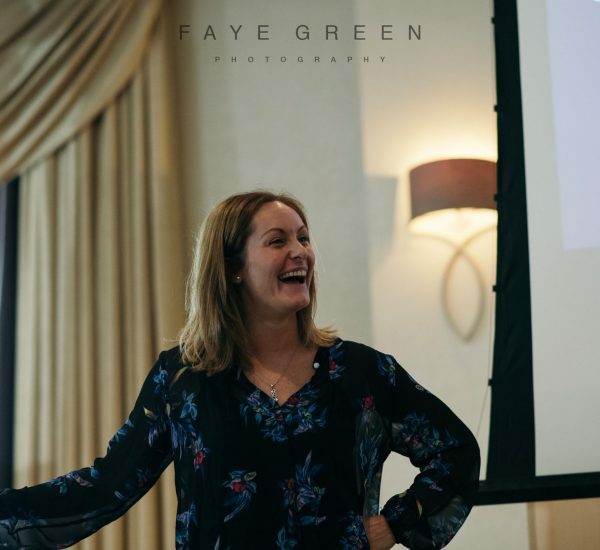 So when I was asked to speak at a brand new ‘Women in Business Conference’ organised by networking group Socially Shared, I wasn’t really sure what to expect. Then again, I’m a bit of a fan of taking opportunities when they’re thrown at you and being aware that you never quite know where things might lead, so I decided it would be a great opportunity to meet like-minded people, especially in my local area, hear about what they do, and challenge myself to do something that doesn’t come all that naturally to me – get up and talk about myself in front of a crowd. My talk was one of several, with plenty of (in my view) far more impressive people in the line-up and subjects covering everything from what women need to do differently to success in business to why we should all put ourselves forward for awards. If you want a full rundown of all of them, author Shelley Wilson author has written it far better than I ever could on her blog here. I was there to talk about telling your story and why it can be important for your business – plus ‘highlights’ from my career which, if we’re honest, involves lots of entertaining photos of me doing bizarre things whilst looking scarily young (usually if wearing any form of helmet or body armour). I’d had my presentation all sorted and my words planned out, but as I got up in front of a stack of pretty inspiring women, it all slightly changed. You see, these women were all from different walks of life, at different stages in their lives, and are all doing different things. But what they had in common was their desire to take a chance, to push themselves and to do something different. On top of that, the conference actually took place on International Women’s Day, so I ended up feeling rather inspired myself. My talk became about far more than how to ‘tell your story’ but also why it’s so important to tell your story. How telling that story is what not only inspires journalists to want to cover your story and readers to want to read your story, but also inspires all sorts of other people to invest in you – whether that’s cold, hard cash in your business, their belief in your idea, or their support in using your services or buying your products. As I looked through my own comedy photos of things I’ve done, it reminded me that we all have it in us to chase our dreams and to achieve what we might not think is possible. I may have got carried away in lecturing a group of far more experience ladies than me about why it’s so important we inspired the next generation to push themselves, think nothing is impossible, and not be afraid of failure, but hey – if you can’t do it on International Women’s Day, when can you? I actually started off the Socially Shared Conference with a bit of imposter syndrome, wondering what exactly I could bring to a bunch of already highly successful ladies. But by the end, I realised that that’s the whole point of networking at its heart. You never really know what you can teach, or learn, when you meet new people. It might be lots, it might be nothing. You might come away with renewed perspective on why you’re doing what you’re doing. Or maybe you’ll just feel a bit of support and warmth from like-minded people who are in a similar boat to you. Either way, what is there to lose by trying? Thanks Socially Shared, for one of the most memorable days of the year.